Forum Link Building guide: How to Check your current SERP ? We have to monitor our site SERP continuously to ensure high ranking. Links must be built continuously to ensure stable SERP. 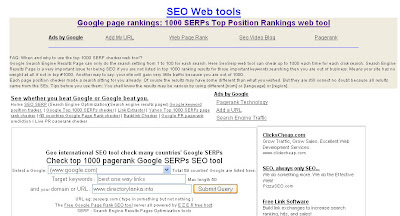 There are lot of free tools available to check SERP. I am going to present very effective tool.